Technical Analysis Flexibility & Power! ionDESK is widely used by trading professionals, system integrators and software developers requiring technical analysis of financial market data. Our trading workspace includes not only technical indicators, signals, patterns, but functions, quote based signals and news based trading indicators. Indicators such as ADX, MACD, RSI, Stochastic, Bollinger Bands etc. 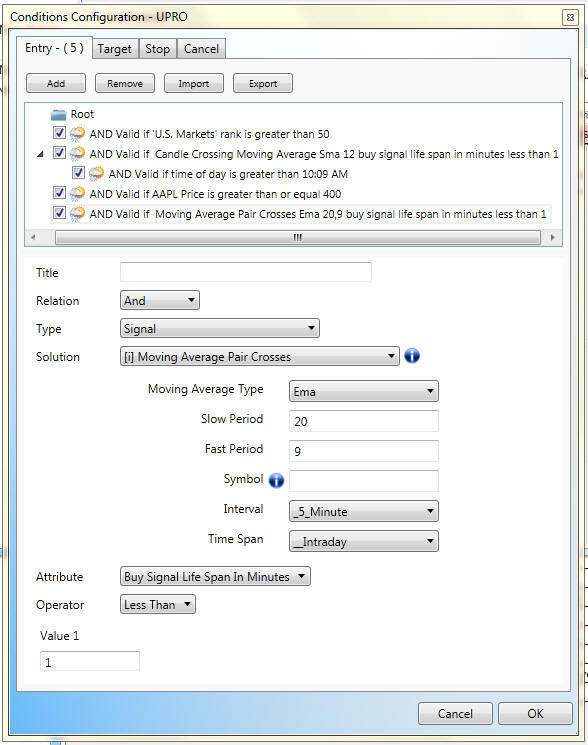 All signals, technicals other analysis can be plotted directly on our charts, shared, saved and reused within your orders systems and trading robots. See the full list of Technical Analysis libraries here! If you thought ionDESK was just a practice tool, you might want to review us again!